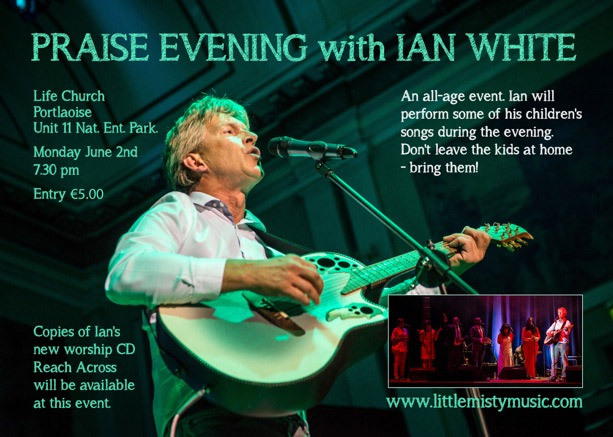 Supporting Ian White June 2nd! We are delighted to announce that we will be supporting the legendary christian artist Ian White(not to be confused with the legendary darts player!! 🙂 ) on the bank holiday Monday June 2nd in Life Church Portlaoise (map). We will have copies of our latest single “A Word to Satisfy” with us. Gig starts 7.30pm. CC €5.